I'm a big fan of black and white photography. It's so classic and has an old world charm to it, not to mention it hides a multitude of sins that colour photography sometimes can't cover up. I had so many photos that I could've used for today's prompt, but I chose a photo I really love from her first trip to the beach this week. You can follow me on Instagram @tones84 and join in on Facebook. 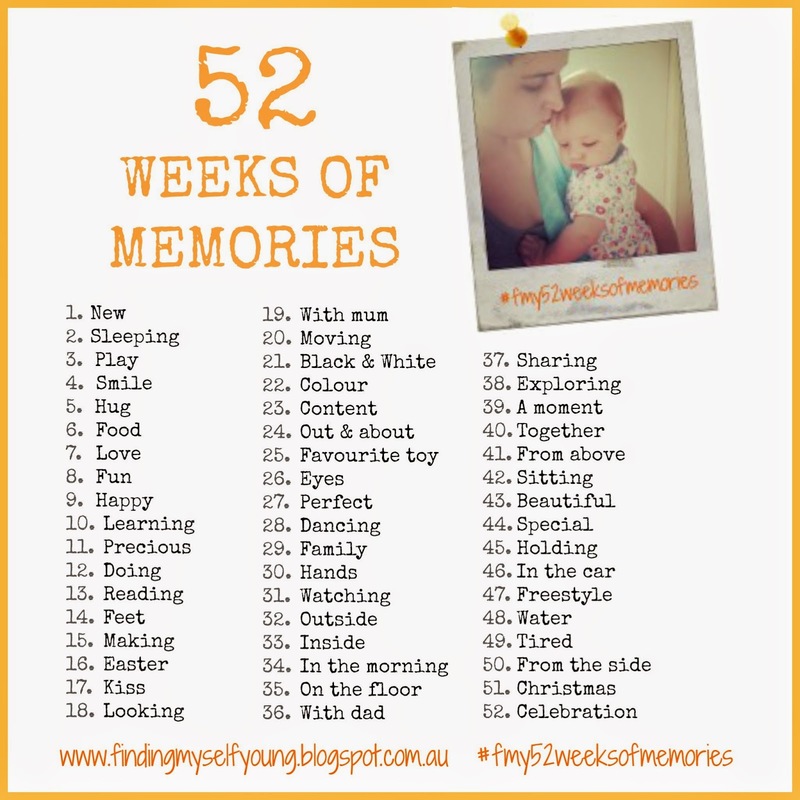 When sharing via Instagram or Facebook don't forget to use the hashtag #fmy52weeksofmemories so I can see your lovely photos. If you have a blog feel free to link up your photos via the linky below and come back each week to link up each new prompt. Reminder - next weeks prompt is Colour. I love black and white photos too. Although my favourite picture of Dyllan and Paul is one with a 'vintage' filter on it from instagram. I love the sepia ones too. 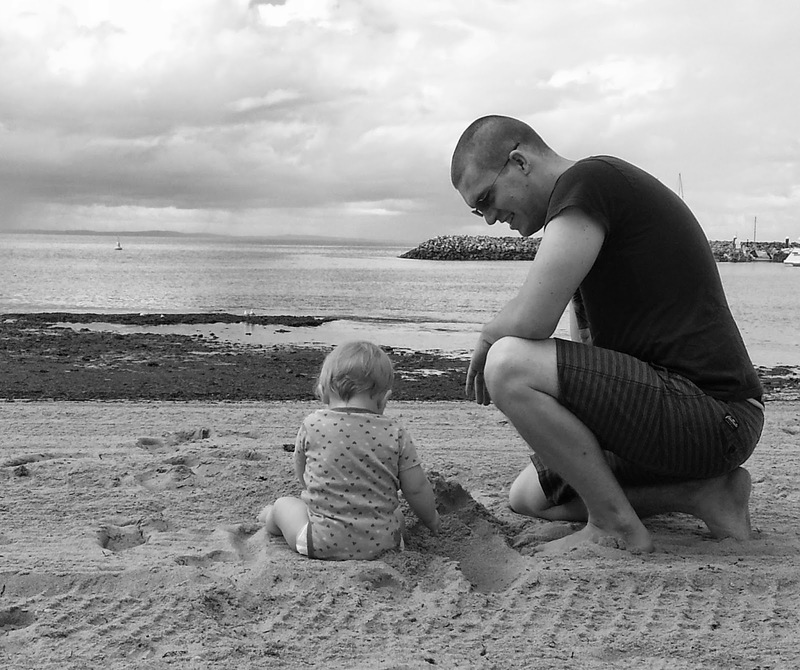 She loved the beach and didn't even try to eat the sand which was surprising. Aww bless how cute is that? You have a keeper of a hubby there! I think his head exploded when he read this comment.